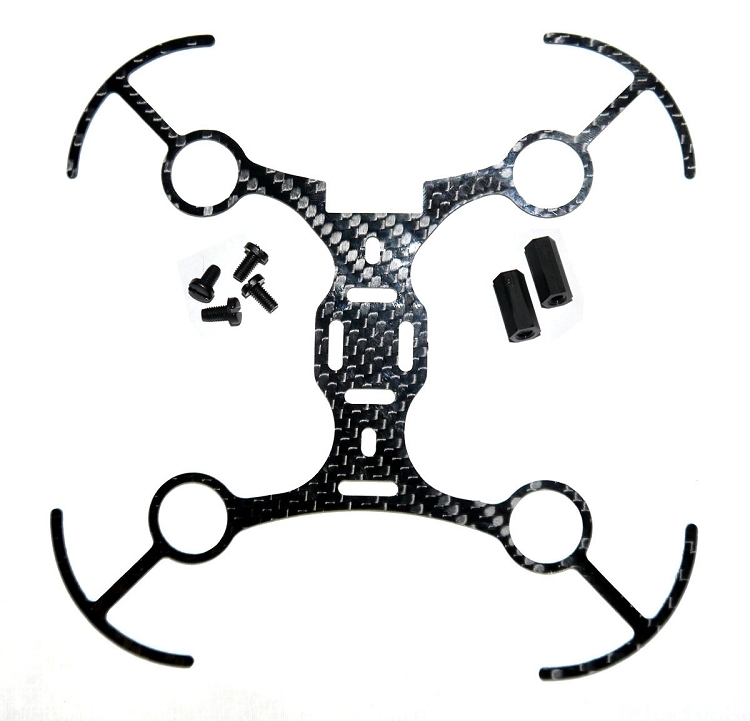 This top plate will mount to your 110mm Carbon Fiber Micro-H to give your frame a clean finish, protect the flight controller and provide a place to mount any accessory items. Mounting points are slotted and mirror the frame slots so you can shift and mount the top plate in a position best for your build. This plate also adds prop guards built in to the plate for better protection of your props when flying in doors.